Positron emission tomography (PET) is a nuclear medicine imaging technique that produces a three-dimensional functional image of the living body. This system detects pairs of gamma rays emitted indirectly by a positron-emitting radiotracer, which is introduced into the body as a biologically active tracer. Three-dimensional images of radiotracer concentration within the body are then constructed by computer graphic analysis. PET is both a medical and study tool used in clinical oncology (medical imaging and diagnosis of tumors and the search for metastases) and in preclinical animal studies, where it allows repeated scans of the same subject. PET is particularly valuable in cancer research because it increases the statistical quality of the data (research subjects can act as their own controls) and substantially reduces the number of animals needed for individual studies. 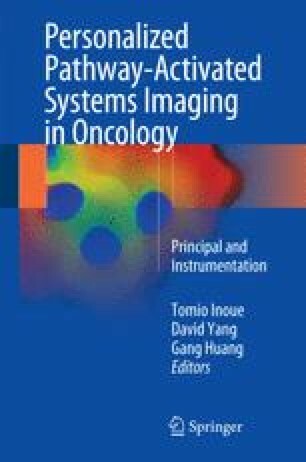 The author thanks Dr. Masayuki Fujinaga (National Institute of Radiological Sciences) for assistance in the preparation of this manuscript.